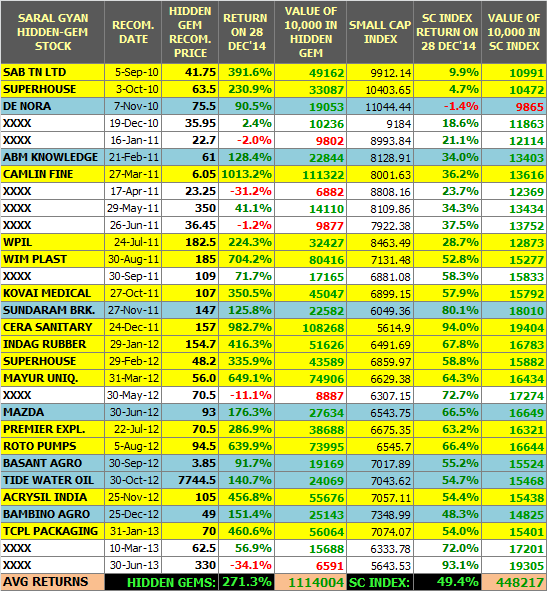 Our equity analysts published Hidden Gem - Oct 2011 research report and shared it with all Hidden Gems members. 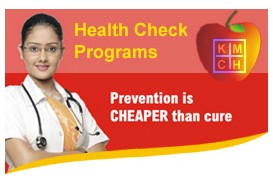 Hidden Gem stock of Oct'11 was Kovai Medical Center & Hospital Ltd and Hidden Gem research report was published on 27th Oct'11 with buy recommendation at average price of Rs. 107. KMCH Stock on last Friday made its life time high of Rs. 599.70 and closed at Rs. 593.55 giving absolute returns of 455% to our members in 38 months. In Sept'14 quarter, net profit of Kovai Medical Center & Hospital rose 66.61% to Rs 9.13 crore as against Rs 5.48 crore during the previous quarter ended September 2013. Sales rose 19.05% to Rs 98.67 crore in the quarter ended September 2014 as against Rs 82.88 crore during the previous quarter ended September 2013. Company has good consistent profit growth of 27% over 5 years. Moreover, company has a good return on equity (ROE) of 26% during last 3 years. We suggested our members to continue holding KMCH with maximum allocation of 3% in June 2014. Since our update on KMPH, stock price has appreciated by whopping 172% during last 6 months.